The dedication service held on the 11th November 2018 was extremely well attended and most people stayed for tea and cakes made and donated by residents. It was agreed by all that the bench is a stunning memorial to mark the 100 tear anniversary of the end of the First World War. 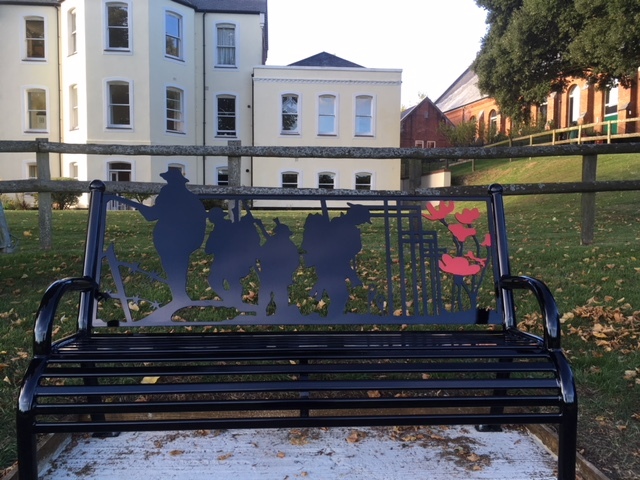 WW1 Bench above the cricket pitch, bought by the Charlton Down History Group, installed by the Parish Council.